Note, this assumes that you are already familiar with using dd. 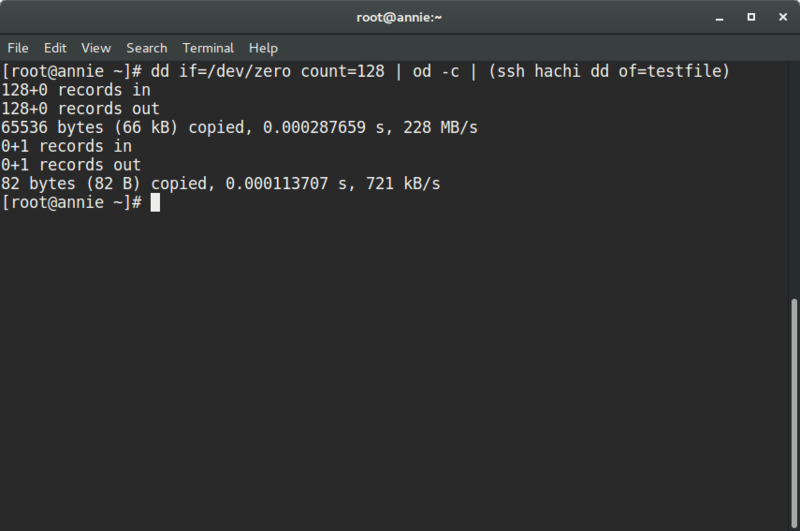 I was wondering if you could do a dd image copy through ssh and a network. The answer is: YES! It is a pain in the posterior to have to physically connect backup media to the computer. No mas! I use it to take a snapshot backup of an installed working Linux System for backup purposes. This copies the entire partition (physical copy) though a network connection. /dev/zero writes as many null characters as needed. count=128 tells how many input blocks should be written. In our case, 128. 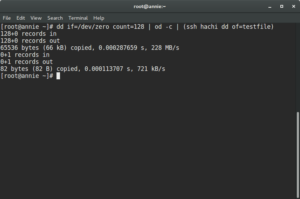 You would replace the /dev/zero with the name of the partition to be backed up. /dev/zero is used in this example for testing purposes. od was not a command that I was familiar with. 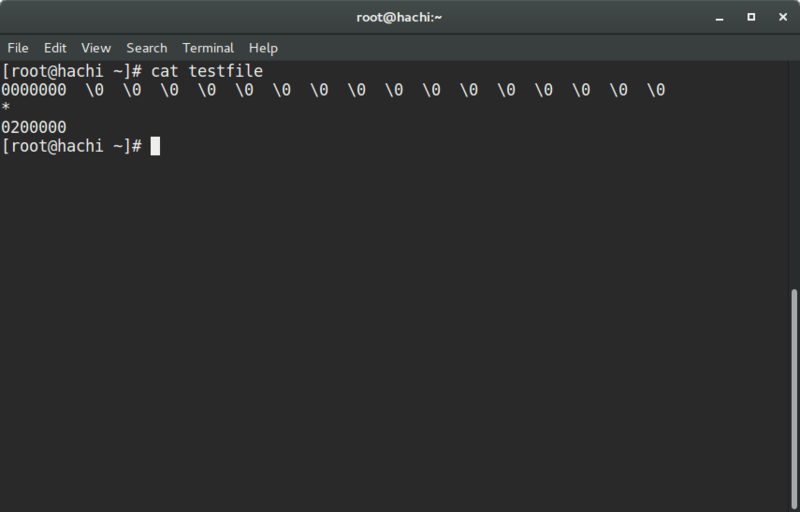 od takes the file and converts it to octal output. Do not use the od command. This was for the purposes of testing. 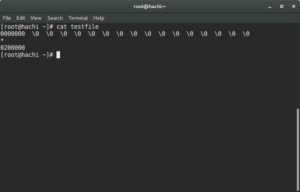 The ssh command takes the octal output as supplied by the od command, (note it is getting input from stdin), and directs the output to a file. Note that this example presumes you have certificate based authentication on the target output host. I will be off for several months due to an impending surgery. Ouch. Does anyone else have footshooting problems today? So you accidentally clicked on the “Do not show again.” Doh! We’ve all done that. This is an easy way to reset the notifications and popups, courtesy of the folks at the Linux Mint Forum. This is more of an internal note to myself, because I do this a few times a year, and have to schlep around till I find how to fix it again. Easy. And this way I won’t have to schlep for it again. Boy. Did this take a lot of schlepping to figure out. I use xubuntu/xfce because the extra keystrokes/mouse clicks required with gnome 3, puts undue stress on my repetitive stress injury. And the interface is dead simple. Normally changing the default application in Linux is pretty easy. And that is what you would normally see. 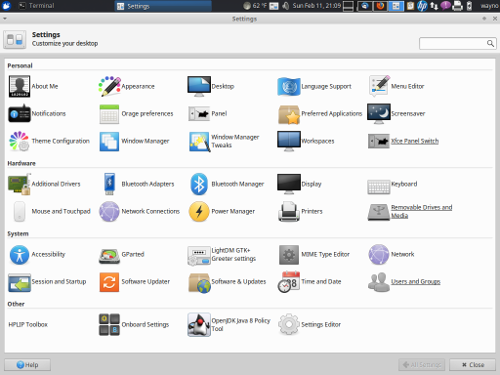 But xubuntu uses the xfce interface. Notice anything different? (other than the fact the font is too small). The details icon, does not exist! So how do you change the default program for an application? Preferred applications won’t let you change the default media player for example. With much schlepping. I found the answer. Ta da! Note anything with an octothorpe (#) is a comment and does NOT need to be coded. This changes the default applications GLOBALLY (for ALL users). and more good stuff! 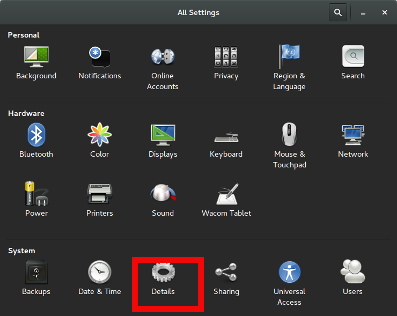 That is the easiest way to change the default program in xfce. No it’s not impossible (but I was beginning to think it just might be), it just requires a bit more effort. ThioJoe’s explanation of Net Neutrality is the best I have found. The future of the Internet as we know it is at stake. 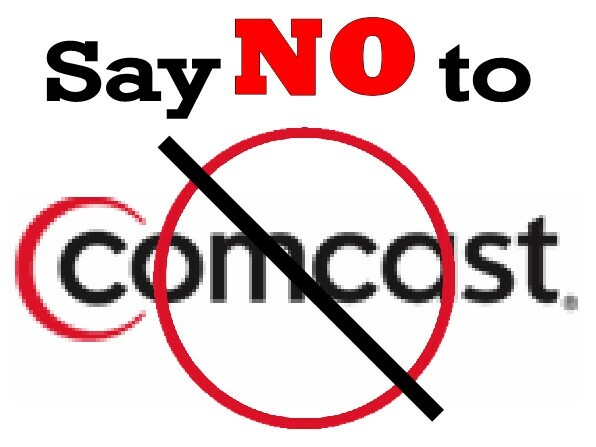 It’s time to write to your representatives, and ask them to enact a law prohibiting the Federal Communications Commission from dismantling Net Neutrality. WoW. This was messier then it needs to be, but this does work. 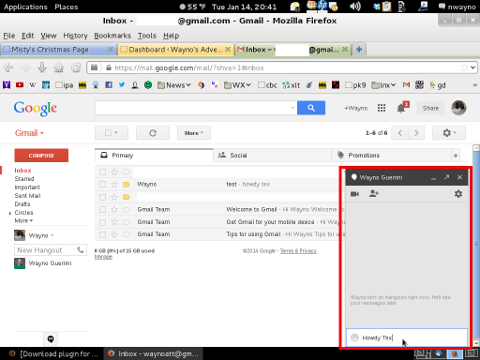 I have tried it with xubuntu and ubuntu mate successfully. As you know, the password area is grayed out. I use PureVpn as a Virtual Private Network provider. But this works with any provider. This is a ppp (point-to-point) connection, which is different then /dev/tun. Tun rides over the top of a ppp connection. Let’s try to break down what we changed. All the items I changed are bold like this. So I changed the connection name, gateway name or ip address, and userid. Next you need to make sure that refuse-chap, refuse-eap, refuse-pap are all set to yes. Normally the password-flags is set to 2. We need to set it to 0. This is important, so it does NOT reprompt. Now add the section vpn-secrets with your password. 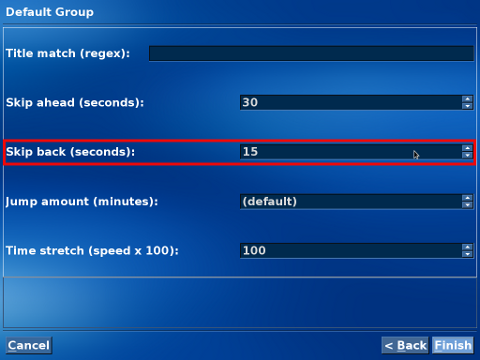 Setting the flag to 0, and adding this section will save the password. 2. If not installed, install openvpn and the network-manager-openvpn. sudo apt-get install openvpn network-manager-openvpn. 3. Now the tricky part. (see the problem above). first let’s go the the directory and make a backup copy of org.freedesktop.NetworkManager.policy. Virtual Private Networks. They are useful, but they can also seem daunting. 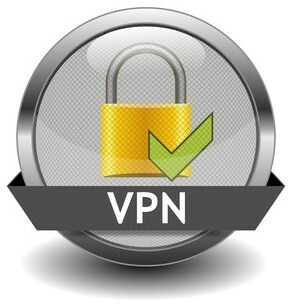 As I have learned more about VPN’S from my first post, some 2 years ago, I thought we should re-vist and update. 1. What’s the first thing we do? Why install openvpn of course! If you add it to .bashrc, you will need to logout and back in again, so it will re-read the file. 3. Let’s move some files, and create the configuration file for openvpn. The period at the end, is significant. It says copy the file, right here. /etc/openvpn/openvpn.conf file as follows: Most of the explanations of the parameters come from here. # you to add this in your router. 6. Let’s see if it works? PING 192.168.224.253 (192.168.224.253) 56(84) bytes of data. Note that the period (.) at the end IS significant. Putting Ubuntu on a flash drive, can seem a daunting task. But if you follow these steps, you’ will have a portable secure operating system. WARNING: CHOOSING THE WRONG DEVICE CAN RENDER YOUR HARD DRIVE UNBOOTABLE. IF YOU’RE NOT SURE, YOU MAY WANT TO REMOVE THE PLUGS FROM YOU HARD DRIVE BEFORE STARTING. 1. Boot off the install cd. 5. delete the partition on this drive, so you can start fresh. 8. Select “new partition” on the bottom of the screen. We are going to create a 1 G fat32 partition for windows, and then the rest for linux. The great thing is that windows will NOT see any of the Linux on the flash drive. However, Linux WILL see the windows partition. So you can easily exchange information between Windows and Linux. 9. Hit forward and you will see “Who are you?” (screen 5 of 7) fill out as desired. 10. if you get the message “there are no users or operating system suitable for importing from” error – that’s normal – (step 6 of 7) just go forward. 11. When you arrive at step 7 of 7, this is the tricky part. “Ready to Install” We need to make the flash drive bootable. There is an “advanced” tab at the bottom right of the screen. Click on that. 13. Boot up off your usb drive, and we are going to make a performance enhancement. ﻿By default Linux records when files are last accessed, modified and created. This behaviour can be controlled with the noatime option, which will prevent this information from being recorded. The advantage might be a performance increase, especially when files are accessed and modified often. control+o to write the file changes, then control+x to exit. NOTE: if you screw up fstab, your system may NOT boot. DON’T panic! 15. Install updates and enjoy! You now have in your pocket, a secure, portable operating system. has used approximately 2.5 G (yes with “X” installed) and have about 4G free! 16. One caution. In order to avoid file corruption, I always “shutdown” when done using my ubuntu2go flash drive. Removing the flash drive before the system has shutdown, may result in file corruption. Thank you jya_ from #mythtv-users (irc.freenode.net) for identifying the location to change the skip time for playback using mythtv. Or whatever works for you. Thanks jya_. This threw me for a loop! Literally. I wanted to use Google Hangouts, but it told me I needed to update the plugin. What the? I just installed the plugin! How could you tell me I needed to install it again? I did a sanity check. The page Google had sent me to, was trying to install the version 3.10 plugin. That isn’t going to work. apt-cache policy shows me the installed version, 3.10 and the current version in the repo. 4.9! So I told it to get the latest version in the repository.